How great would it be if continuous improvement would be part of everyday’s work? 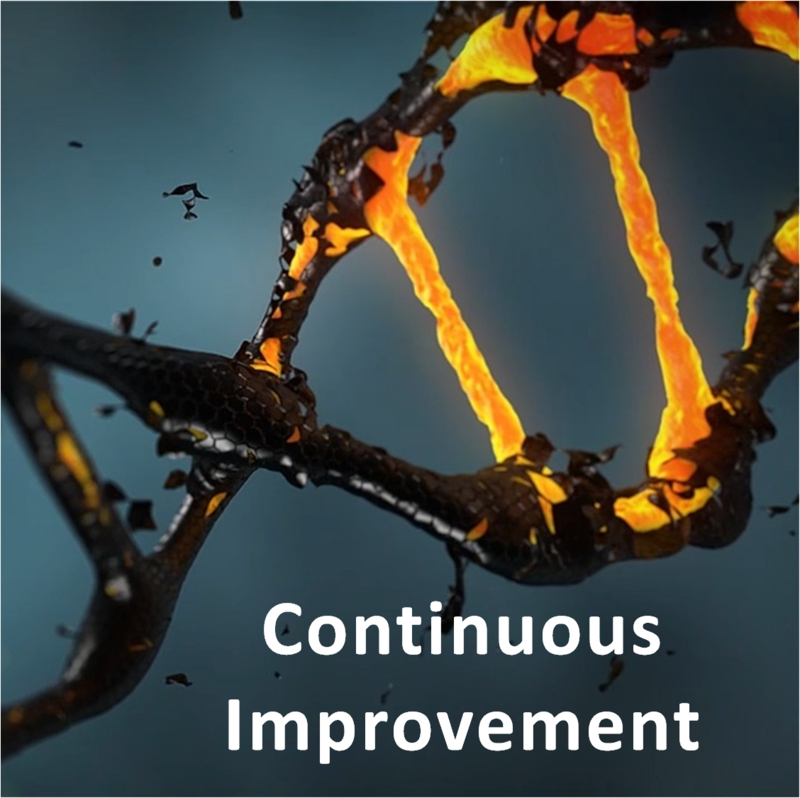 To get continuous improvement in the DNA of your organisation? To have a culture of continuous improvement? Whatever the reason is for you wanting to reach a state of continuous improvement, you most likely did not get there yet. In spite of all your efforts, in spite of all your investments in training and support. Do you know why? I think I know why! Because you do not understand what it takes. You need to understand the phenomenon you want to change. The improvement industry is teaching you all kinds of things, lean tools, six sigma statistics and what more. A whole bunch of tools and rules. But the truth is, this approach does not work to change culture or organisational DNA. It has not been working for over 30 years! What is the reaction of the improvement industry? “You need to be more disciplined.” “You need to train more people.” “You need my newest tool.” That is not a solution, that is a sales pitch. If you want to change culture, if you want to change organisational DNA you need to study culture, you need to study organisational DNA. Using tools to solve operational and process problems does not make any sense if you want to change organisational DNA and culture. The number one reason why you do not get traction towards continuous improvement is because you focus on the wrong topic: operations and processes. Continuous improvement implies having the continuous energy to do so. The energy for continuous improvement lies not in tools and rules, it does not lay in operations and processes. The energy for continuous improvement comes from people. So what do you need to focus on? On people. What do you need to study? People. What does it take for an individual to transform? That is quite another topic than improving processes and running the business. You also need to start thinking about the organisation, the culture, the DNA. What are we talking about here? What does it mean? For a start, what is an organisation? An organisation is another name for groups of people performing together as a result of their relationships. This gives us another interesting clue we need to focus on: relations between people. What is the relation between people? Why do they interact the way they do? Does it propel or impede continuous improvement? The last question leads to, yet, another one. To be able to answer the question whether a certain interaction or relation propels or impedes continuous improvement we need to understand what is needed for continuous improvement, we need a clear picture. You may have figured out by now: I ask many questions. The reason is that I want to trigger you to think and to invite you to share your thinking. This is a hint to one characteristic of a continuous improvement culture. In such a culture people are invited to think and to share their thinking. How compares that to your organization’s culture? Are people invited to think? Are people invited to share their thinking? Do people dare to? I hope this article and its questions trigger your desire to learn more. If so, I would like to recommend a great resource (e-course) I recently found: The Psychology of Lean Manufacturing by David Bovis. It will change your thinking about continuous improvement forever and it will help you answer some questions I raised in this article. The desire to keep learning is yet another characteristic of a continuous improvement culture. I have that desire, so please reach out to share your questions and learnings!